211 Bernard: Double Book Launch tonight! Tonight, Thursday, December 1st at 7 pm, join us for the launch of The Highway of the Atom and Useful Cinema at the Librairie Drawn & Quarterly, 211 Bernard O. These two innovative works of cultural history by Concordia professors challenge conventional narratives about mid-twentieth century Canadian and American life. 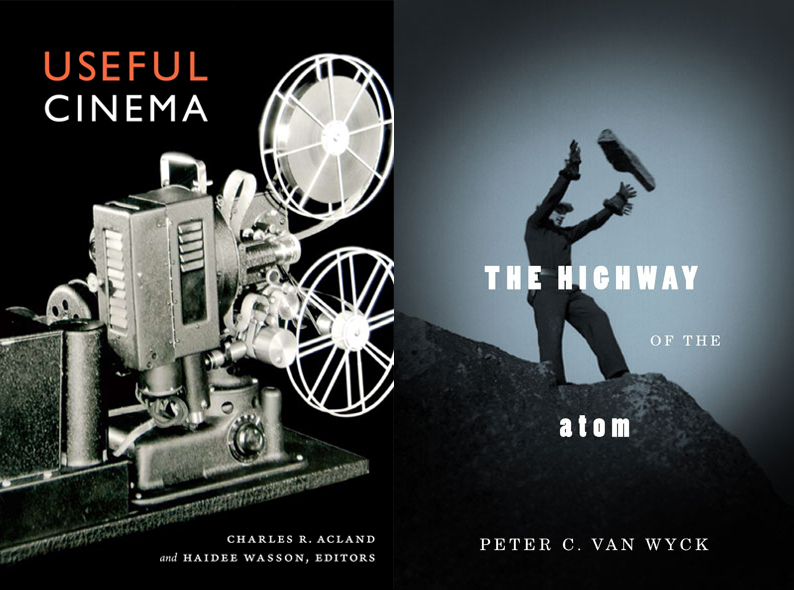 Peter van Wyck’s The Highway of the Atom weaves together crucial missing pieces about the beginning of the Atomic Age, from the fur trade routes of the far North to the deserts of New Mexico and wartime Japan. Charles Acland and Haidee Wasson’s Useful Cinema explores how institutions helped to make moving images an ordinary feature of American life. Tonight! 7 pm! Librairie D+Q!